This triple action cream with Cornflower Water, Grape and Service Tree extracts smoothes the delicate eye and lip contours, helps reduce the appreance of puffiness and dark circles. 3 in 1 Treatment: helps diminish the appearance of deep and fine lines, dark circles and puffiness. 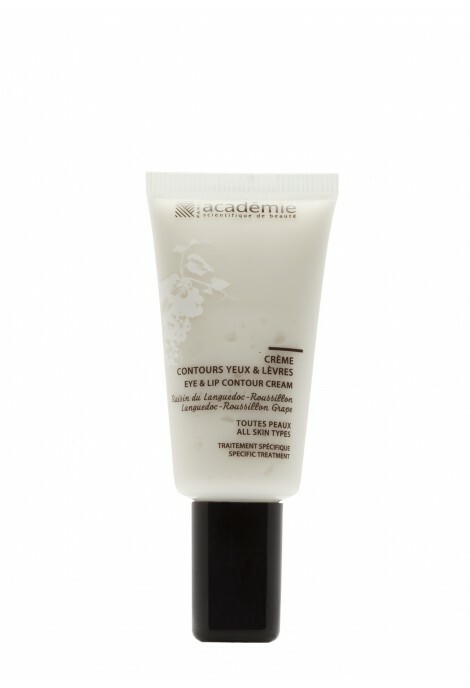 Plant ingredients complex : Drome cornflower water, Languedoc-Roussillon grape and Auvergne service tree extracts complex. Deep and fine lines are smoothed. The eyes look rested; the lip contour area is redefined. Morning and evening, apply to cleansed eye and lip contours with light effleurages. Grape extracts acts on first and deep lines. Cornflower water efficiently fights against dark circles.